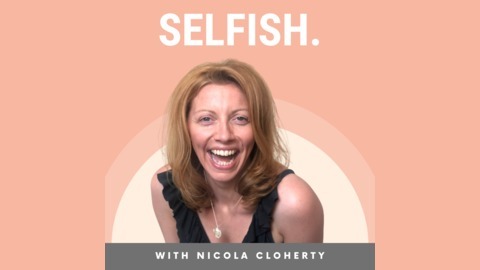 THE SELFISH PODCAST - Conversations To Show You That Self-Care Isn’t Selfish! Anna Wallace and Nicola Cloherty share stories and have conversations around the blocks they have faced, how they have made changes and introduced tools into their lives to improve their overall wellbeing. They also interview people about a range of topics including overcoming burnout, kicking sugar cravings, daily rituals, living wholeheartedly and so much more! --------------- SAY HELLO TO YOU. This is you. You are you. You are not your husband or wife, girlfriend or boyfriend, your kids, your mother or father, your job. And you are important. WAY more important than you might think. And you are important. WAY more important than you might think. Our aim is to show you that putting yourself first isn’t at all selfish. It’s actually more selfish to not put yourself first. When we push through and put everyone else first we are pouring from an empty cup. We have less to give to those we love and want to provide for. It’s like running on an empty tank. When we stop, take a moment to look inward at what it is that we really need, we often find that it is likely something for our self. Little voices can tell us we’re ‘selfish’, we’re here to change that. It’s time to make you a priority again! We believe that with a few conversations, practices and an utterly selfish community, you will become empowered to be the best version of you. We will support you in a wide range of ways so you can be totally and utterly, unapologetically selfish. You will shine so brightly, leading the life you love, with a smile on your dial and pure love in your heart. ------------------------- We are full of self-love. We are full of self-care. We are full of self-acceptance. We are SELFISH. ------------------------------- Anna is a Registered Associate Nutritionist and Food Freedom Coach - http://annasnutrition.com/ - who has helped hundreds of women around the world lose weight in a way that doesn’t self-destruct and supports them with creating lifestyles that last forever. Anna is an advocate of mindfulness and is passionate about using this to show women a more kinder and gentle approach to weight loss and lifestyle. A big-time foodie that believes in a lifestyle that includes a little bit of everything. Nicola shares and educates people to lead a more empowered and natural life with essential oils and plant-based, low-toxin products - https://www.loveandoranges.com/. 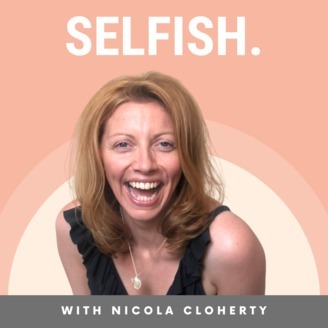 She organises events within the health, wellness and t.
Welcome to Episode 28 of The SELFISH Podcast. In this episode, Anna and Nicola are going to talk about language, words and verbal communication. Anna and Nicola chat about language in depth and share personal thoughts on this topic. They often talk about language on the podcast and specifically how language makes them feel on a daily basis and the emotions that are attached to it. Want to learn more about how your language and verbal communication is shaping your actions, relationships and behaviours, tune in and listen folks.